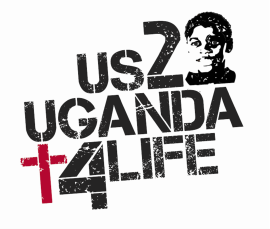 We are in the throes of planning our 2018 trip to Uganda. We have 28 spots and once again we will be staying at Banda, that awesome Guest House. Our children transitioned extremely well to their new home at Masaka Baptist School, which is located in Masaka town and is literally a 10-minute walk from Banda!! (no more bumpy rides up the hill, killing Peter’s suspension). 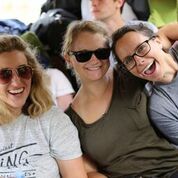 This year we will split the team into two , one team focusing on our high school students at Hope, and one team focusing on our primary students as Masaka Baptist. Our format will be similar to previous years but obviously because we are no longer at Jireh we will be working a little differently. I have already been asked to deal with certain topics particularly in the high school. There will be a need for medical personnel at both schools to help in the school clinics. Once the team is established we will get into the programming details where I will be soliciting a lot of help from you guys as we want to be as effective and productive as possible. There will most likely be some manual labor, ie painting, a little carpentry etc at Masaka Baptist to improve on a few of the facilities. We have not decided on what this will entail as we need to consult with the director, and of course raise some funding, but it will be cosmetic. We are so excited to watch as this 2018 team comes together. we love to see how God orchestrates this and each year we end up with the perfect group of people. PLEASE consider coming this year and if you know someone you feel would be a great addition please let them know. We are looking for men particularly, to pour into our young men. The cost will be approx. $800. This covers all in country costs. In addition you will need you apply for your VISA online. The cost for that is $50. Lastly if you have not been before you will need to get all of the appropriate shots, The cost for these vary depending where you live. You will need a Malaria prescription, AND of course your flight. We will also direct you to a great low cost insurance program.